This year Microsoft released the Visio Management Pack Designer (VMPD) a tool to design and create SCOM management packs using Visio. Basically it is a plug-in for Visio 2010 SP1 which adds management pack “stencils” and after the design process you are able to check for errors and then compile the “drawing” into a management pack. There is a very good manual on TechNet . Make sure you have the correct Visio edition installed. 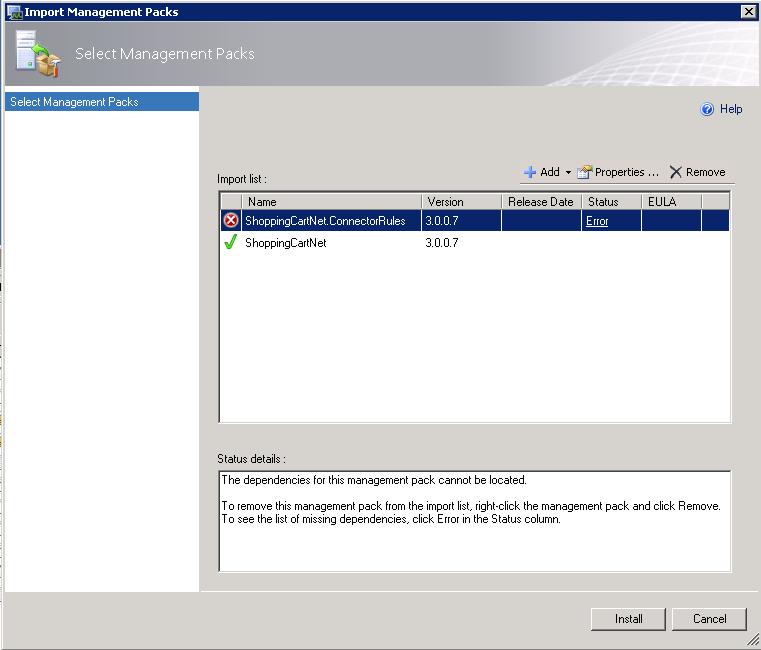 To design an MP you can use Visio 2010 SP1 Professional but if you want to“compile” (create) the actual management pack XML you need Visio 2010 SP1 Premium. So working in a team doesn’t really require everyone to install the Premium edition, just the one who compiles the MPs. Or in other words… only sealed management packs can be referenced. If you want to know more read this post here from Travis Wright. 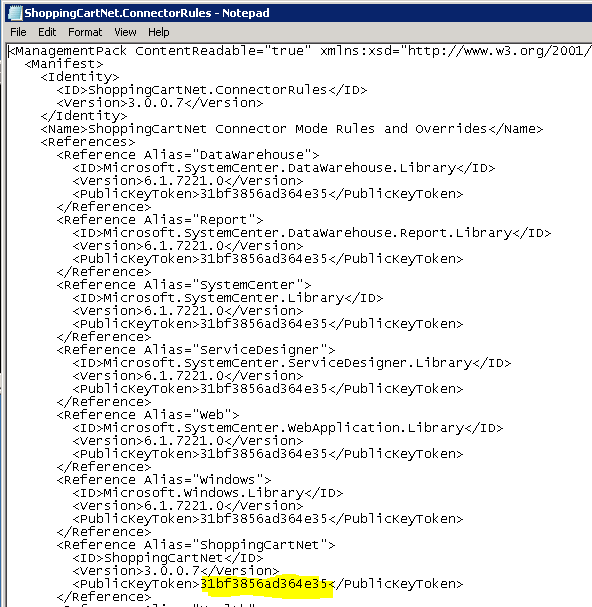 In our example ShoppingCartNet.ConnectorRules.xml references the ShoppingCartNet.xml therefore we need to seal ShoppingCartNet.xml and adjust the PublicKeyToken reference in ShoppingCartNet.ConnectorRules.xml. We need the “sn.exe” tool which you can either get if you install Visual Studio or installing the .NET Software Development Kit x86 or x64 edition. Get more information about the tool on MSDN. The actual program we need to seal the management pack is called FastSeal.exe and download it here. Here the public key token is 26686c19c7becb26. At this point we have created a the scomfaq.snk key file which we need to seal the management pack and extracted the public key. Use any company name at the /company switch which is suitable for you. Congratulation, you have now a sealed management pack! Just copy our public key “26686c19c7becb26” into this file and hit save. Now we are able to import both management packs. 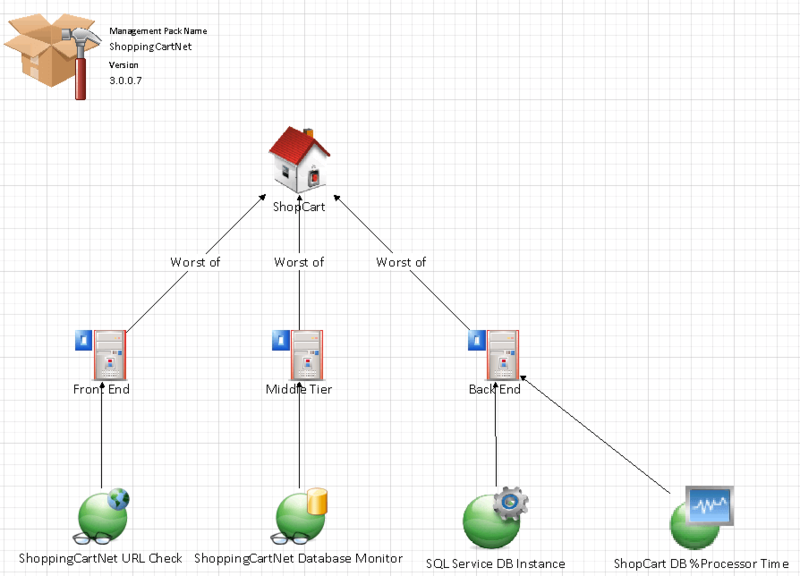 Make sure you import the ShoppingCartNet.mp and the modified ShoppingCartNet.ConnectorRules.xml. That’s it ! and seal the management pack again. After sealing the management pack you just can import the *.mp file and the current imported management pack will be updated. 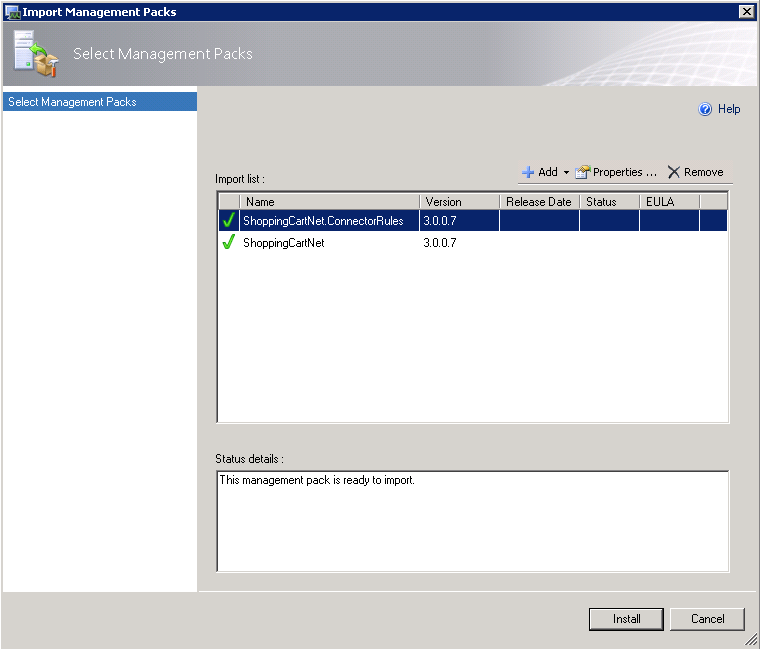 This procedure is not only if you use the Visio Management Pack Designer instead these rules and procedure applies any time you are dealing with unsealed management packs. Awesome article!! Exact same issue and now resolved – many thanks!